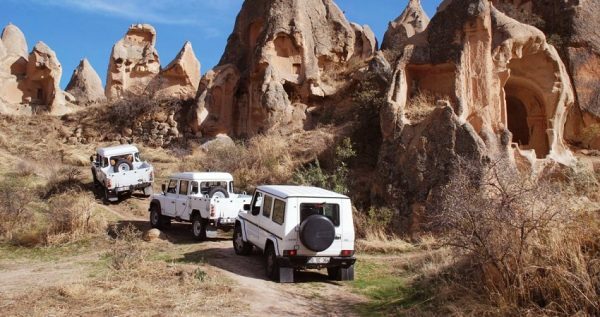 Discover the adventurous side of Cappadocia and participate in a Jeep Safari excursion. Touring around Cappadocia can be an exciting off-road experience. Visit the infamous valleys of the region, enjoy panoramic views and admire nature at its best. 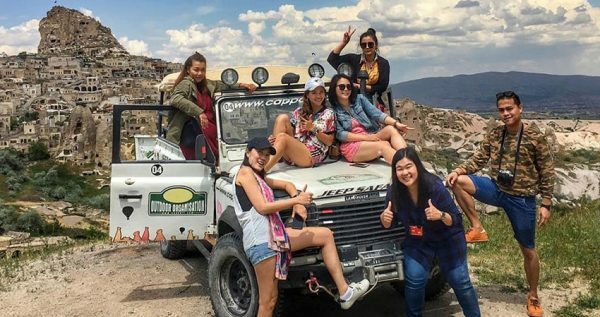 Cappadocia Jeep Safari Tour is ideal for those who wish to get away from the crowds and for those who wish to participate in an alternative, yet exciting adventure. Cappadocia Jeep Safari starts when our team members pick you up from your hotel. It is important to mention that this excursion can be done either during sunrise or sunset. 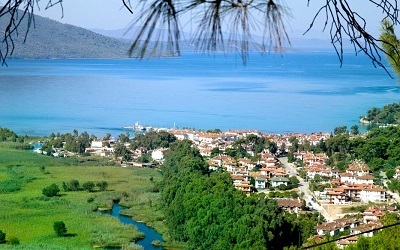 The jeep will drive you towards your first stop which is scheduled to be made at Ibrahimpasa village, which used to inhabit by both, Turkish and Greek people. There you can observe a bridge that was built in 1939 as well as traditional Cappadocia houses made by stone. This village offers great panoramic views so take the chance to admire the nature and take some photos. 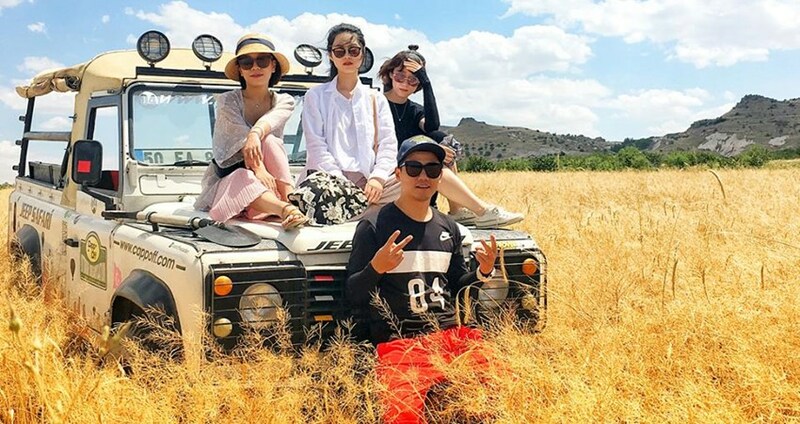 The Cappadocia Jeep Safari continues with a ride through the valleys. More precisely, you will enjoy a ride through the valleys of Gorceli, Rose and Pancarlık. Short photo breaks will be made in order to capture the valleys’ natural beauty. An additional short photo break will also be made at Ortahisar, where you can enjoy stunning panoramic views over the area. Ortahisar is the smallest town in Cappadocia and has a castle dating back to Middle-Ages. During your off-road adventure, a stop will also be made at an Evil eye Tree. At that specific location, there is a tree which has evil eye beads on it. The evil eye has a long tradition in Turkey as people believe that it can waive the bad luck away. Snap some amazing photos of the tree and of the Pigeon Valley that is close. The Jeep Safari excursion continues with a stop at the Damsa Dam where you can enjoy the view and take some pictures over the dam. 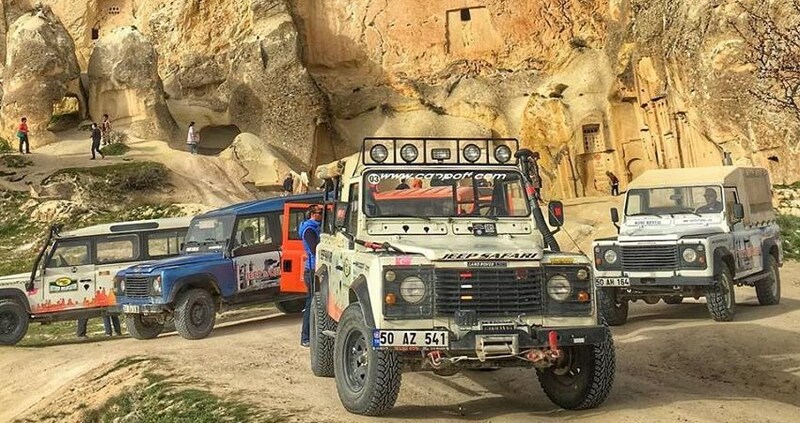 The last stop of the off-road adventure will be made at the Gomeda Valley where you can observe man-made caves, Saint Basilios and the Alakara Churches, as well as an underground city. 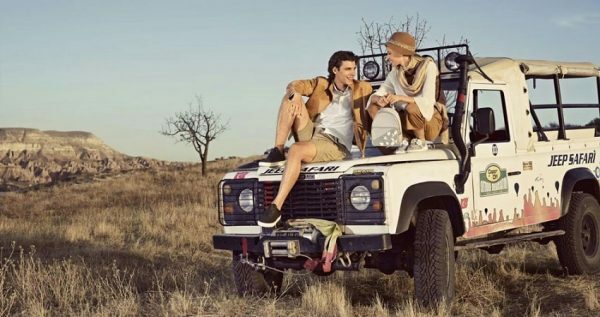 As this is the last stop of your adventure, the Jeep will continue on its way back. 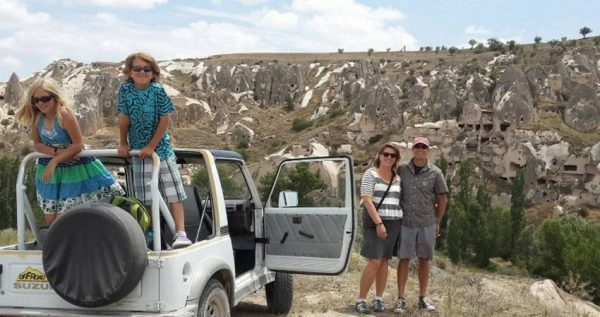 Cappadocia Jeep Safari ends by the time you arrive back at your hotel. Full of memories from this off-road adventure, your holidays in Cappadocia will never be the same. 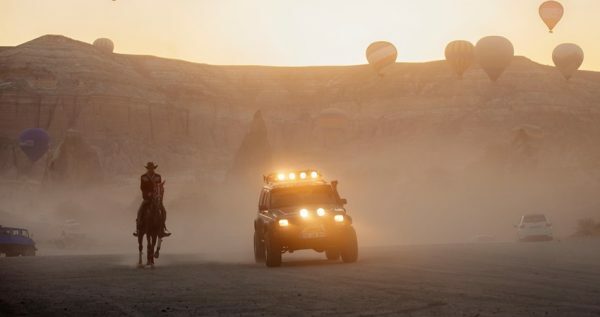 You can combine Cappadocia Balloon Tour with Jeep Safari by booking them on the same day. 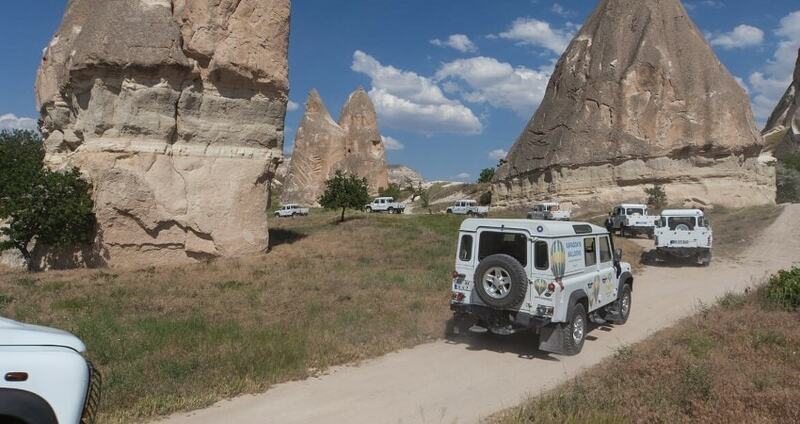 Participate in a Jeep Safari and enjoy an off-road adventure through Cappadocia’s main points of interest. 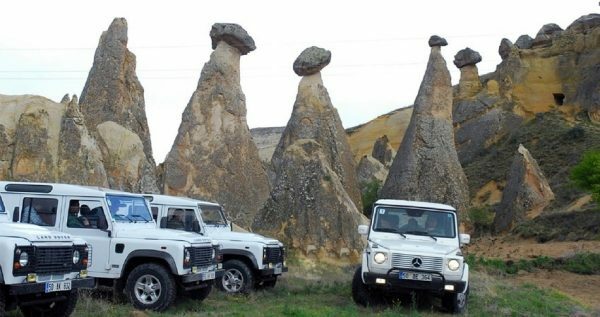 Cappadocia Jeep Safari excursion offers incredible views, multiple photo stops and beautiful landscapes. 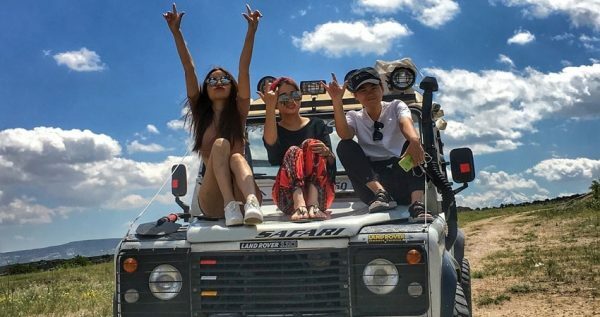 Boost your adrenaline, enjoy an off-road adventure and get away from the crowds by creating long lasting memories with a Jeep Safari exploration. Depending on the time of your excursion, either sunrise or sunset, the Jeep will pick you up from your hotel. Your exciting excursion starts as the Jeep will drive you towards your first stop. İbrahimpaşa Village will be the first stop of your off-road journey. The village used to have a Turkish and a Greek community living there. Today you can observe a 1939 bridge and characteristic houses of Cappadocia. During your break you can take some panoramic photos of the village and of the natural landscape surrounding the village. 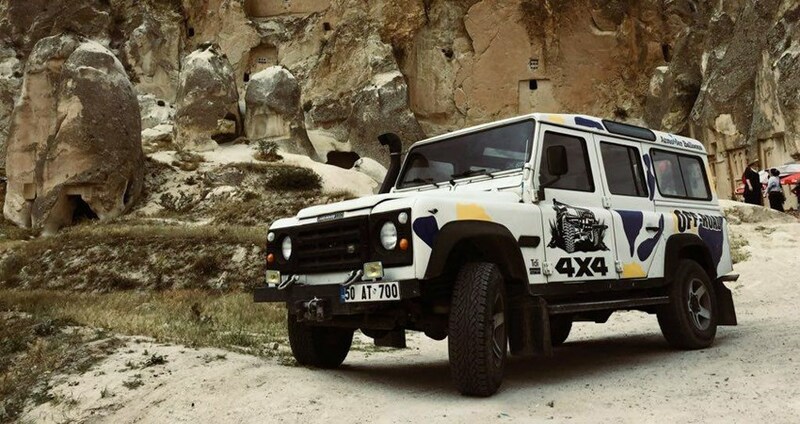 The adventure continues with an off-road ride through the famous valleys of Cappadocia. The Jeep will be passing through Gorceli, Rose and Pancarlık valleys. Several short photo stops will be made in order to admire and observe the natural beauties. 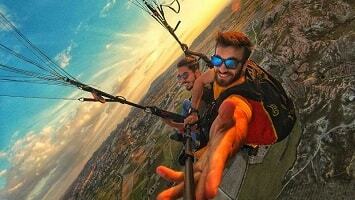 Do not miss the chance to take some amazing photos of these valleys. A stop will also be made at Cappadocia’s smallest town, Ortahisar. During your off-road adventure, a stop will also be made at an Evil eye Tree. At that specific location, there is a tree which has evil eye beads on it. The evil eye has a long tradition in Turkey as people believe that it can send away the bad luck. Snap some amazing photos of the tree and of the Pigeon Valley that is close. The Jeep Safari excursion continues with a stop at the Damsa Dam where you can enjoy the view and take some pictures over the dam. The last stop of the off-road adventure will be made at the Gomeda Valley. This particular spot is in fact really famous due to the variety of man-made caves that were used as houses. The valley includes also two churches, the one of Saint Basilios and the one of Alakara. The valley includes an underground city as well. Snap some photos as this is the last stop of your adventure.